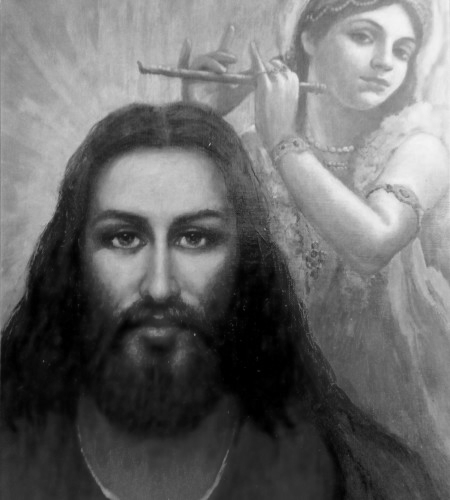 In the divine plan, Jesus Christ was responsible for the evolution of the West, and Krishna (later, Babaji), for that of the East. 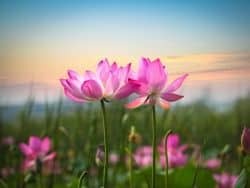 It was intended that the West specialize in developing objectively, through logic and reason, and that the East specialize in inner, intuitive development. But in the cosmic plan the time has come to combine these two lines into one. East and West must unite. The secluded master has retained his physical form for centuries, perhaps for millennia…Babaji’s mission in India has been to assist prophets in carrying out their special dispensations. He thus qualifies for the scriptural classification of Mahavatar. The northern Himalayan crags near Badrinarayan are still blessed by the living presence of Babaji…. 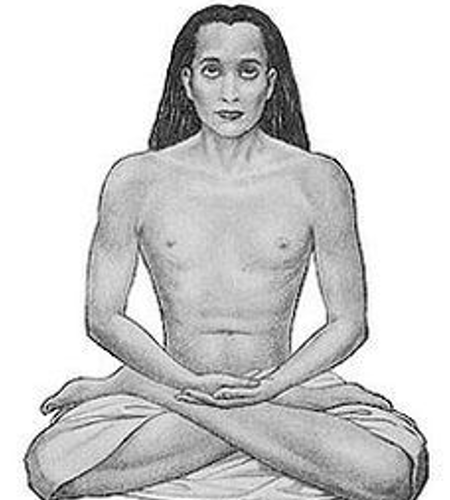 Seeing that in the present scientific age, people were better prepared to receive higher knowledge, Babaji directed his disciple, Lahiri Mahasaya, to reintroduce the meditation science of Kriya Yoga to the world. 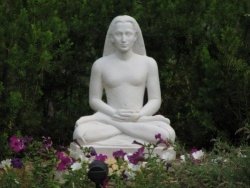 Babaji simply means “revered father.” Though the great master’s birth name and date are unknown, his subtle spiritual influence is felt throughout the world. 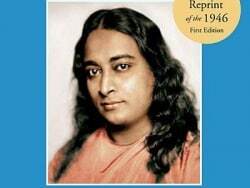 It was he who re-introduced the ancient science of Kriya Yoga, which had been lost through the dark ages due to “priestly secrecy and man’s indifference,” as Yogananda put it. 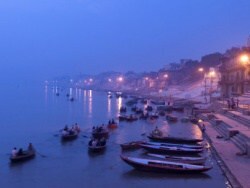 After his initiation by Babaji in 1861, Lahiri Mahasaya continued to live the modest life of a householder in Varanasi, India. He set an ideal example of balanced living, attending to both his worldly and his spiritual duties. 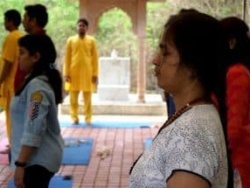 Over the years, as he meditated quietly in his front room, thousands came to him for initiation into Kriya Yoga. 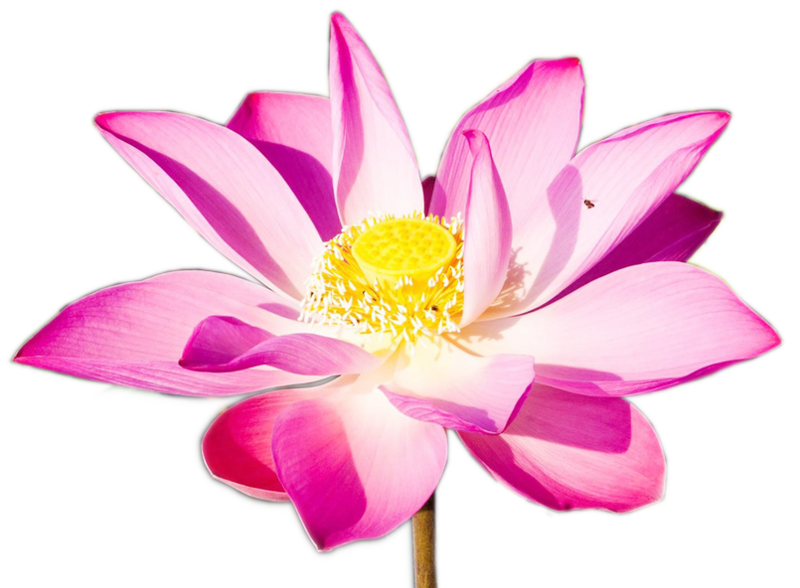 One of his foremost disciples was Sri Yukteswar, the destined guru of Paramhansa Yogananda. He fitted the Vedic definition of a man of God. ‘Softer than the flower where kindness is concerned’ stronger than thunder, where principles are at stake.’ He taught by sublimity of example alone the true measure of a man. 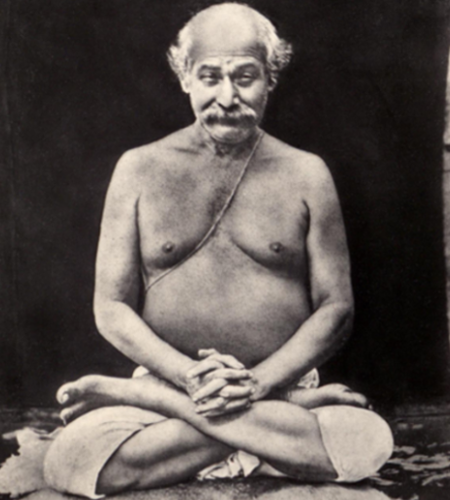 Yukteswar was a disciple of Lahiri Mahasaya, and Yogananda’s guru. He was an “incarnation of wisdom” with a keen intellect and discrimination. 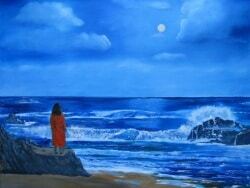 He received two commissions from Babaji. One was to write “a short book on the underlying unity between the Christian and Hindu scriptures, to show that the inspired sons of God have spoken the same truths.” He called this book The Holy Science. 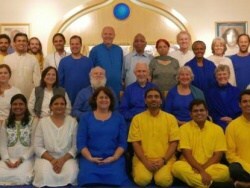 The second was to train Yogananda for his mission to the West. Early in life, Yukteswar was married; later he became a renunciate and lived in his hermitage near Calcutta, India. Sri is a respectful title meaning “holy.” Yukteswar means “united to Ishwara” (the name of God in his aspect as the Cosmic Ruler). The vibrations of many spiritually seeking souls come floodlike to me. 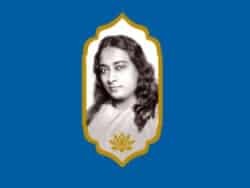 I [Babaji] perceive potential saints in America and Europe, waiting to be awakened.” To Yogananda he said, “You are the one I have chosen to spread the message of Kriya Yoga in the West. Mukunda Lal Ghosh, later known to the world as Paramhansa Yogananda, was the son of a senior executive in the Bengal-Nagpur Railway; as such, he faced the prospect of wealth and high worldly position when he grew up. But it was not this world that attracted him. From earliest childhood he had longed for God as intensely as others long for human love, or for worldly recognition. 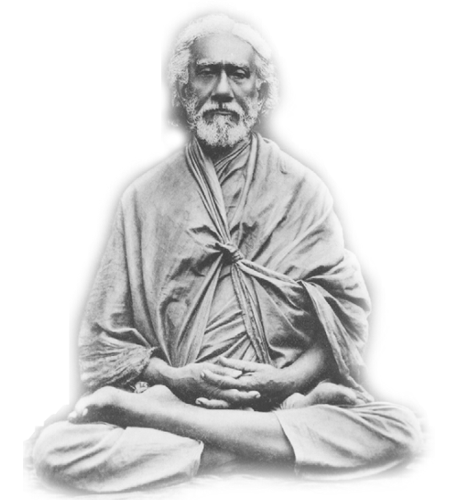 Soon after graduation from high school, Mukunda met his guru, the great Swami Sri Yukteswar of Serampore, Bengal. At the feet of this great master he attained, in the amazingly short space of six months, the high state of samadhi, or unconditioned oneness with God. His guru kept him in the ashram another nine and a half years, while he trained him for his mission of yoga dissemination in the West. “The West,” Sri Yukteswar explained, “is high in material attainments, but lacking in spiritual understanding. It is God’s will that you play a role in teaching mankind the value of balancing the material with an inner, spiritual life. 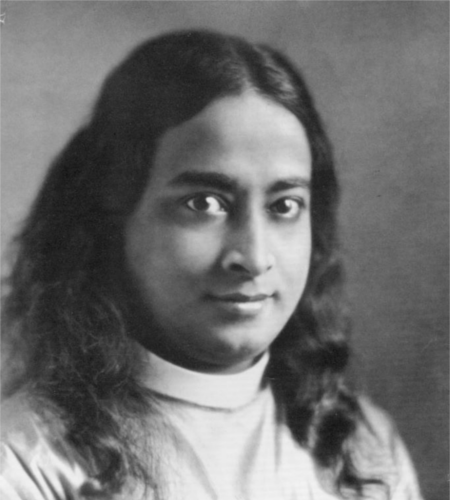 In 1920, Yogananda shifted to America, not to “dogmatize you with a new theology,” as he later told his students, but “to teach you how to commune with God directly.” He lectured to hundreds of thousands across the country. 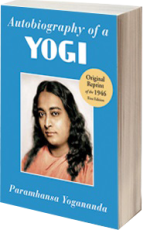 His Autobiography of a Yogi, first published in 1946, has become one of the most well-loved spiritual books of the last century, and a classic of religious literature. He was devoted to helping unite East and West by bringing the original teachings of Krishna and yoga to the West, and showing their underlying unity with the original teachings of Christ. He advocated the founding of what he called “world-brotherhood colonies” where people could live together in spiritually supportive communities.